A multitalented artist makes her name from a little island in the sea. 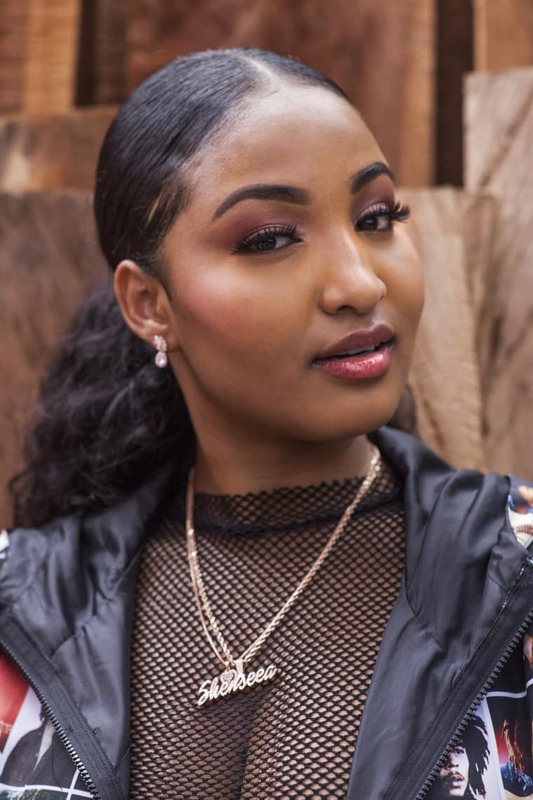 Chinsea Lee, the 21-year-old who performs as Shenseea, is a DJ, a singjay, a rapper, a singer, and a songwriter. “I said to myself that I’m going to be able to go and perform on any platform they put me on, and it’s actually working,” she tells me over Skype. When we speak, she is in Jamaica enjoying much-needed downtime before a flight to New York for an upcoming show. She seems relaxed, wearing a light denim jacket with her hair slicked back into a ponytail. But in true Jamaican fashion, she still ah pop style with a fusion of yellow, orange, and red eyeshadow, plus mint-green, coffin-shaped acrylics. “As soon as I land back in Jamaica, I go straight to my son’s house and I bond with him,” she says. If you’ve followed her career at all, then you probably know her playful 2-year-old son, Rajeiro. 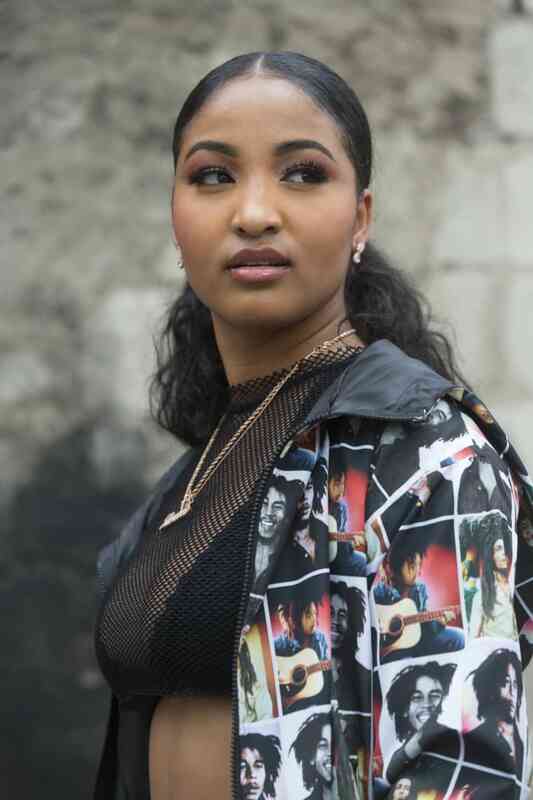 “I don’t hide my child from social media,” Shenseea explains, “and a lot of my fans, they love me for that, because they feel that attachment — not only to me, but to my son.” That openness contours her personality, making her reach more expansive. “I’ve been receiving a lot of love from the Caribbean people. And if I can be bigger… I wouldn’t mind,” she says near the end of our chat. “That’s the goal right now: to be an everybody artist,” she says self-assuredly. “I’m going to be remembered [as] a girl that came from Jamaica, started out really young, very fast uprising, but really left a [mark].” Her career so far includes brand ambassadorships with the Jamaican branches of Pepsi, Campari, and the telecommunications giant Flow. But her greatest flex is positioning herself between genres, as she’s done with features on songs by Bunji Garlin to Christina Aguilera. 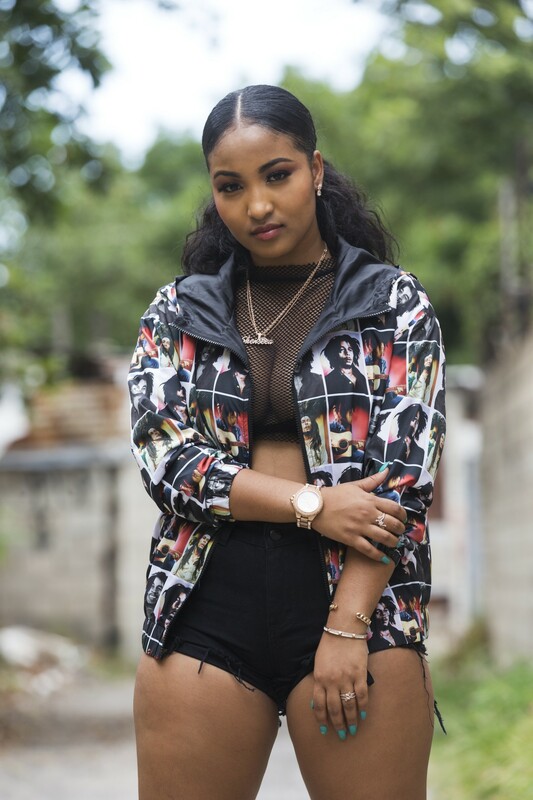 Dipping in and out of worlds is part of who Shenseea is. Her first world was her family. She was born in Mandeville — a town of 50,000 in the center of the island — and lived there until her family moved to the nation’s capital, Kingston, when she was 3. Her second world was church, which she attended throughout her childhood. That’s where she first developed an affinity for music. “Being in a choir, I could not stand it because I could hardly hear myself,” she says, laughing. “My voice was drowning and I was like, ‘No, I want everybody to hear me!’” At 8, she performed a solo cover of Whitney Houston’s “Greatest Love of All” before the congregation. As she prepares to release a reggae EP called Real and True, out in mid-autumn and stacked with tracks she’s written herself over the years, there’s one paradoxical factor: “Time is my only challenge from the start because a lot of things are happening so fast,” she says. And even greater stardom is well within reach, especially when you consider how much she’s accomplished from a little island in the sea. It makes me think of the Jamaican expression “Wi likkle but wi tallawah”: we’re small but full of heart. 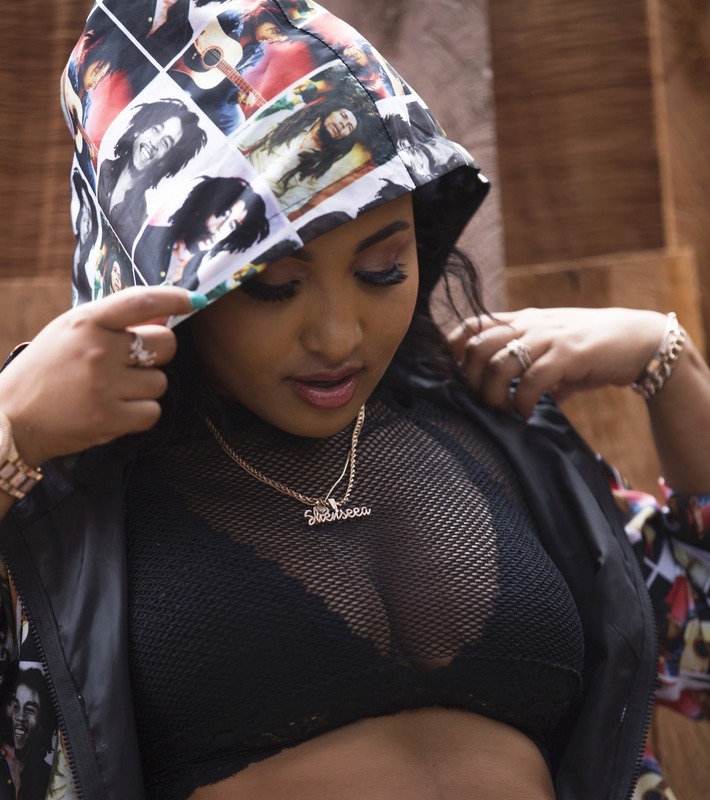 Watch Shenseea's "Instruction" music video.